State Bank of India has invited online applications for the recruitment of Probationary Officer. A total of 2000 vacant posts will be filled through the recruitment process. 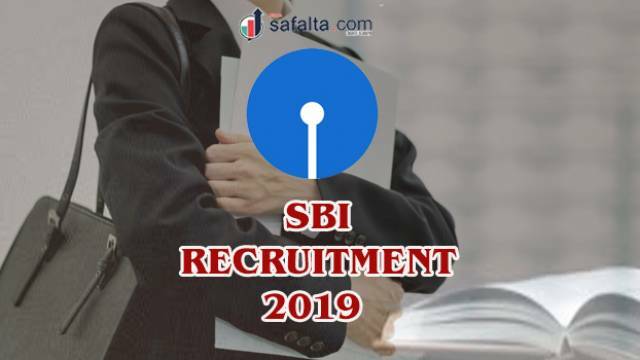 Interested candidates, who aspire to join the State Bank of India as a Probationary Officer, are required to register online for the recruitment process. The recruitment process will be held in three phases i.e. Preliminary Examination, Main Examination and Group Exercise & Interview. Candidates who are shortlisted after Preliminary Examination will have to appear for Main Examination. Candidates who are shortlisted after the Main Examination will be subsequently called for Group Exercises & Interview. The candidates who are interested to apply for the recruitment drive should visit the official website to read the advertisement carefully. The process of examinations/ interview, eligibility criteria, online registration processes, payment of prescribed application fee/ intimation charges, the pattern of examinations, issuance of call letters etc. Candidates should possess Graduation in any discipline from recognized University or any equivalent qualification recognized as such by the Central Government. Pay Scale: Rs. 23700-980/7-30560-1145/2-32850-1310/7-42020 applicable to Junior Management Grade Scale-I.